AltspaceVR Bids Farewell on August 3, Is the World Not Ready for Social VR? It is time to bid farewell to AltspaceVR as the initiative runs out of the funds and out of steam. For now. AltspaceVR, a startup that pioneered the social platform for virtual reality, is shutting down this week after no success at getting its next round of funding. The platform announced to its users with a heavy heart that it will be shut down effective August 3. The team of 40 who was working on AltspaceVR technology have been on furlough this week. The ‘hang out with real people in VR’ concept gave users the thrill of meeting people around the world, attending free live events, and playing interactive games with friends. AltspaceVR was supported by majors investors like Tencent, Dolby Family Ventures, Comcast Ventures and others. So far, it has raised more than $15 million from these investors. The next round of funding was planned but it did not materialize, hence the decision of shutting down. The platform has run out of both time and money. Other reasons could be the slow progress and competitors now emerging in the VR space. AltspaceVR has been working on a social VR application that allowed users to meet up in a virtual space to communicate with each other. AltspaceVR has around 35,000 active users monthly who spend around 35 minutes each day on the free trail. Some of the notable events hosted by AltspaceVR include Comedy Nights with Reggie Watts, and partnering with NBC News to host live events during the 2016 presidential election. It is accessible through headsets like Oculus Rift, Gear VR, and HTC Vive. Facebook’s own social VR effort came in as competition to AltspaceVR, making it one of the best-known VR applications in the social space. 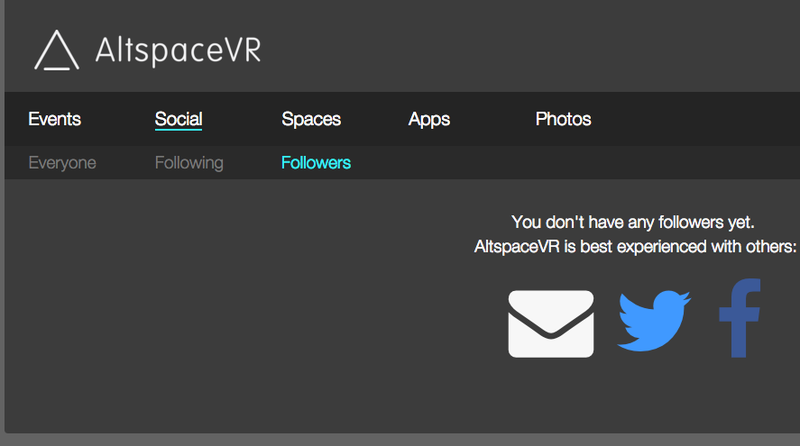 AltspaceVR isn’t convinced about completely discounting all the hard work that’s gone into the project. It continues with a hope to see the technology live on in some way, even if it means selling its technology and other assets to anyone interested in social VR. Lack of funding has been cited as the main reason, but the competition in the VR space and apparent lack of interest in a social experience at this point could have contributed as well. Perhaps it was merely a little ahead of its time, since VR itself hasn’t matured yet.